Ken Lutz – Senior Sessions Leader | Jack B. Keenan Inc.
Ken Lutz is a recognized expert throughout the world in the area of sales performance with a focus in changing a sales organization’s product driven selling approach to a consultative, partnership system. Ken began his relationship with JBK, Inc. in 1999. His highly interactive, dynamic facilitation style sets the stage for a comfortable, challenging learning experience for sales professionals and senior management. Ken has helped participants take theory to the “real world” by applying the skills and behaviors taught in his programs to “live” opportunities and see an immediate return on their investment. 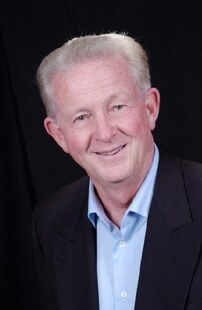 During Ken’s 32 years of sales management and sales consulting, he has trained over one million participants worldwide from diversified industries – automotive, banking, biotechnology, financial services, government, hi-tech, industrial, insurance, manufacturing, real estate, retail, telecommunications, and utilities. He has authored an extensive curriculum which has a proven track record for improving performance. It is his belief you can stimulate short-term sales success through various means. However, when you focus on developing people, long-term success is inevitable. Ken has implemented his programs in premier sales and marketing organizations throughout the world, including many Fortune 500 companies – American Express, Ameritech, AT&T, Bank of America, Cisco Systems, Ericsson, Ernst & Young, Ford Motor Company, Intel, Network Appliance, Seagate Technologies, Sun Microsystems, Qualcomm, among others. He also held positions as Director of Business Development for Onyx Software and Vice President of Sales for Data Base Software. Ken received Bachelor and Master of Science degrees from Michigan Technology University and did doctoral work at the University of Michigan. He was a professor at Michigan Technology University and General Motors Institute for 6 years.